There’s nothing like a good murder mystery. 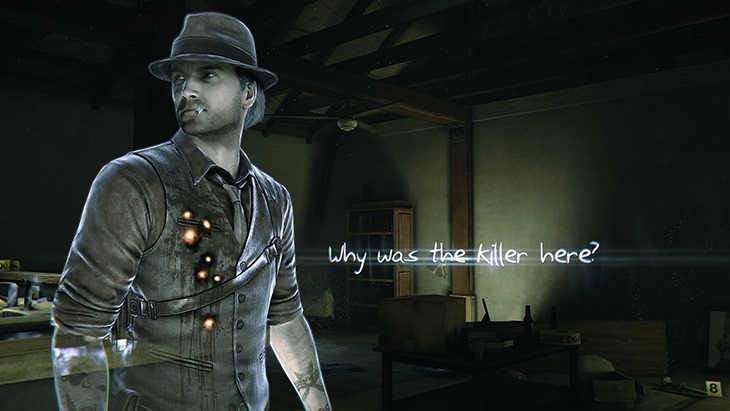 Murdered: Soul Suspect is nothing like a good murder mystery. A good one keeps its audience in rapt engagement; with armchair detectives narrowing the list of suspects in their heads right up until the killer’s identity is revealed at the end. For a while, I was caught up in its fiction and its trope-filled depiction of life as a ghost on Salem’s streets – but by the end I found I just didn’t care. I didn’t care about its characters, I didn’t care about the protagonist’s quest for redemption, and I didn’t care who the killer was. 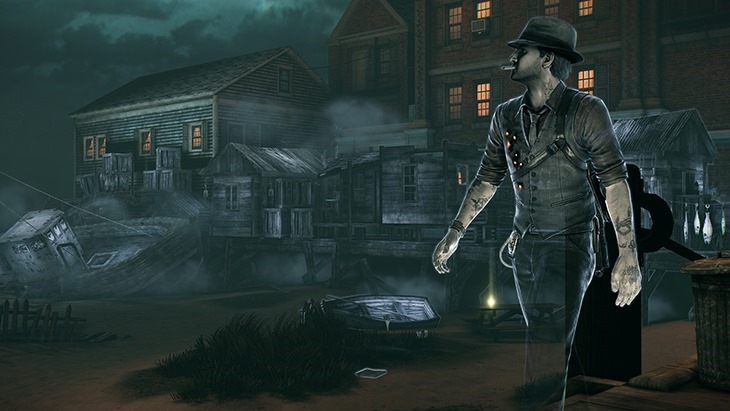 You play as Ronan O’Connor, a hard-boiled detective from Salem Massachusetts. He’s got a bit of a chequered past – a criminal-turned-cop who’s grown up on the streets. He’s also, like a particularly famous unalive blue parrot, quite dead. He and his fellow detectives have been hunting down the Bell Killer, a cruel and sadistic killer who’s perpetually one step ahead of the law. Investigating a Bell Killer sighting one fateful evening, Ronan finds himself in a spot of bother that leaves him surrounded by broken glass and with a handful of bullets in his chest. Or at least his disembodied ghost does. Unlike good folk who die and end up in the paradise of afterlife, Ronan is caught as a wandering spirit, shackled by unfinished business. Denied his ticket to the redemption, Ronan has to sort out whatever worldly bothers keep his soul tethered to terra firma. That means solving his own murder, bringing the Bell Killer to justice – and perhaps helping a few other troubled spectres along the way. With the help of a precocious rebellious teen who can see and speak to the dead, Ronan must use his newly acquired otherworldly powers and investigative prowess to bring the Bell Killer to justice. 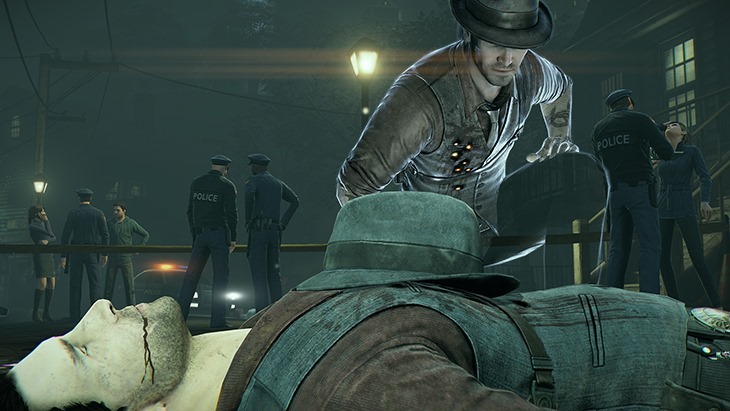 Taking its queues from old-school adventure games, it’s presented as a bit of a point-and-click adventure – but while those almost always required some modicum of wits, Murdered: Soul Suspect assumes you have the general intelligence of an old leather boot. If you somehow manage to answer one of these laughably easy riddles incorrectly, the only penalty is a lower rating. Try as you might, it’s impossible to fail a crime scene. It mostly all just feels like pointless busywork, strung together to deliver the illusion that you’re actually playing a game, as opposed to just watching one happen. Challenging and engaging it is not, with gameplay taking a back seat to the trope-filled and cliché-heavy narrative. Investigation invariably consists of you walking about a pre-defined locale until a “clue” is highlighted, pressing a button to add each to the list of acquired clues and then, once you’ve found enough of them stringing them together to solve whatever leads him to the next area, where you’ll do the very same thing – and so on until the game’s conclusion. On the odd occasion, you’ll have to use some supernatural power. Ronan is able to walk through walls – he is a ghost, after all – but his ethereal form doesn’t quite allow him full freedom of movement. Because this is Salem, scene of the infamous Witch Trials of an era past, many areas have been consecrated against evil, meaning that Ronan is unable to get around those bits. He can, however, sometimes possess people to get past these and other contrived obstacles. When occupying the husk of a human isn’t enough, Ronan can sometimes occupy the far more agile body of a cat, allowing him to get in to windows or through smaller holes. Ronan can also jump in to the minds of people to gather clues by reading their thoughts. Not one of these powers is utilised in any meaningful or interesting ways though. While most of the game revolves around this sort of asinine investigation, the remainder is comprised of the closest that could be accused of being actual gameplay. Unfortunately, Airtight games opted to make use of one of the very worst bits of gameplay in any game; forced stealth. Periodically, nasty demons – the only things in the game capable of causing a “game over” screen show up to harass you and impede progress, and you’ll have to either sneak up behind them and dispatch of them with a series of QTE button presses, or sneak by them entirely. It helps break the monotony inherent in the half-baked sleuthing, and can be quite tense, but I found myself rolling my eyes whenever I heard their telling shrieks, wishing I could just fast forward. 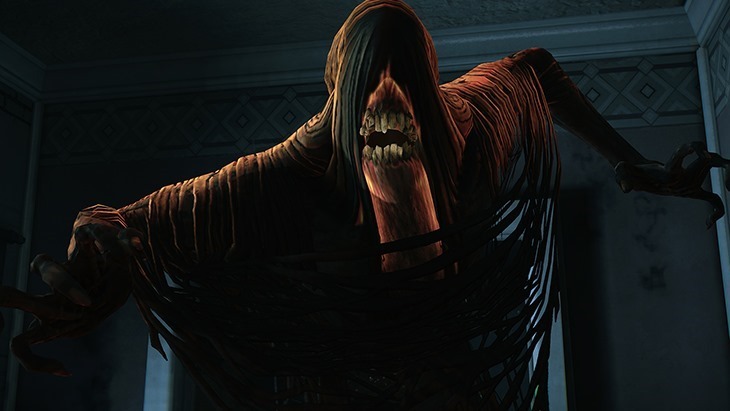 And yet, despite all of these conspicuous, flagrant flaws I can’t hate Murdered: Soul Suspect. Its clichéd and rote story is told well enough, with respectable voice acting keeping it from being awful. Taking about 8 hours to finish, it’s not the highest value proposition, and at full retail price is a hard sell for something that would work better as a cheesy B-Grade detective movie than an interactive experience. Still, it’s a brave and rather different sort of game from a big publisher and that’s something that should be commended. It would be nicer if it was actually good though. 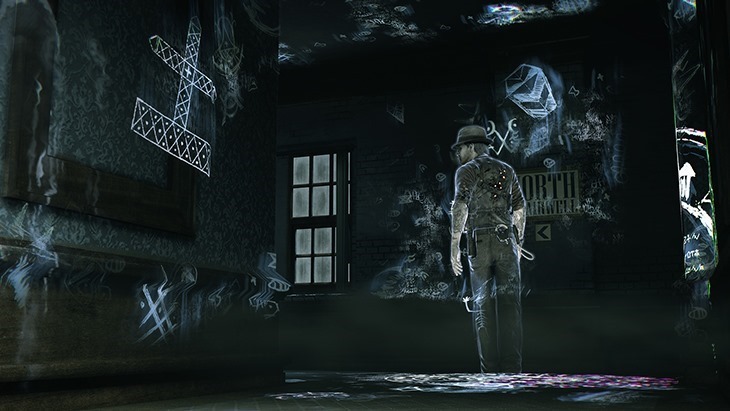 There’s nothing like a good murder mystery - and Murdered: Soul Suspect is nothing like a good murder mystery. It's a decent enough tale, punctuated by half-baked sleuthing, underused supernatural powers and forced stealth.